Each day I get a list of expiring domain names that have the word Tucson in them. I look for domains I’m interested for myself, or I may see one that a client may be interested in. I’ve come across excellent domains in this list over the last few years, and now I’m sharing it as a weekly blog. This list expires fast, so if you see a domain you are interested in, act now. I will update the list as others become available. The best way attempt to register these domains is to put a back order on them, NOT wait until they become available. Back orders are just $20.99, and you don’t pay for the domain itself unless you get it. This data is available to everyone, so others may want the domain too and may have a back order on it already. This list is updated on Monday and Wednesday. If the domain is important to you, I will personally go after your domain name for a flat fee of $150. Call me at 520-664-2324 if you would like this service. If the domain is past the date noted, you can check to see if this domain is still available for register here. Registering a proper domain name is essential for your business. First, it might be helpful to think of your domain name as a phone number. When someone types in your domain address, it is in essence dialing up your website. 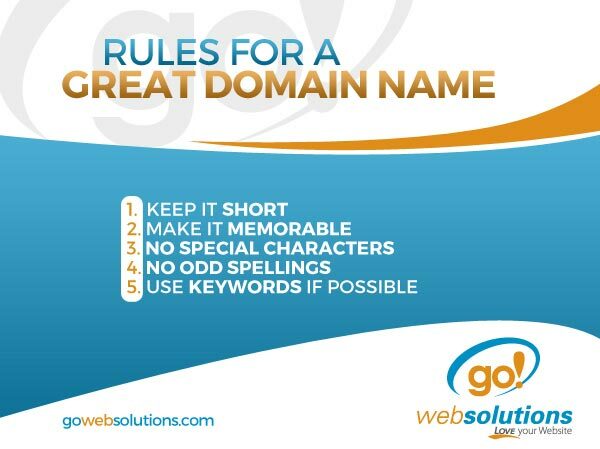 While having an easy to remember domain name is crucial, it is not the only factor to consider.